For over 80 years, the Social Security Administration (SSA) has been committed to maintaining the accuracy of earnings records used to determine benefit amounts. The SSA relies on employers and workers for much of this vital information. The agency keeps a record of workers’ earnings to ensure people get the benefits they have earned. Employers are responsible for providing accurate earnings information for their employees. There are a number of reasons why reported names and Social Security numbers (SSNs) may not agree with the SSA’s records, such as: typographical errors, unreported name changes, inaccurate or incomplete employer records, or misuse of an SSN. Businesses and employers can sign up for the SSA’s Business Services Online (BSO) at www.socialsecurity.gov/bso to verify that employee records are correct and resolve any name and SSN mismatch issues. The free tool, the Social Security Number Verification Service (SSNVS), allows employers to verify that their employees’ information matches Social Security’s records. You can also check your lifetime earnings record to verify that it is complete and correct by creating a “my Social Security” account at www.socialsecurity.gov/myaccount and reviewing your online Social Security Statement to verify your earnings. You should notify the SSA if there is a discrepancy in their earnings record or if earnings are missing. Errors can affect your entitlement to benefits and future benefit amount. The Social Security Administration (SSA) has a compassionate allowance program. 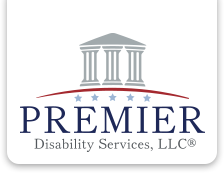 This program is designed to provide an expedited case processing for individuals who file for Social Security Disability benefits and who are diagnosed with a medical impairment that qualifies for a compassionate allowance. SSA has compiled a list of medical conditions that are considered severe enough that a determination must be expedited. In most cases, a diagnosis of a condition on this list results in an award of benefits. On 08/20/2018, SSA added five medical conditions to the compassionate allowance list. These conditions are Fibrolamellar Cancer, Megacystis Microcolon Intestinal Hypoperistalsis Syndrome, Megalencephaly-Capillary Malformation Syndrome, Superficial Siderosis of the Central Nervous System, and Tetrasomy 18p. While many of the conditions on the compassionate allowance list are rather rare, they are extremely serious. If you are diagnosed with a condition on this list, and you wish to file for Social Security Disability benefits, it is important that you clearly indicate your diagnosis on your application so that you are given the expedited processing of your claim that you deserve. For the complete list of conditions that qualify for a compassionate allowance, click the link below. On August 15, 2018, the Social Security Administration (SSA) published a notice in the Federal Register that it is making the attorney advisor program permanent. As the notice says “The attorney advisor initiative permits some attorney advisors to develop claims, including holding prehearing conferences, and, in cases in which the documentary record clearly establishes that a fully favorable decision is warranted, issue fully favorable decisions before a hearing is conducted.” The SSA expects that by making the attorney advisor program permanent, it will be able to continue to reduce the number of pending claims at the hearing level of the administrative review process and provide more timely service to claimants. Under the attorney advisor program, attorney advisors conduct certain prehearing proceedings and, when the record clearly establishes that a fully favorable decision is warranted, may issue a fully favorable decision before an Administrative Law Judge (ALJ) holds a hearing. Thus, the attorney advisor program allows the SSA to issue fully favorable decisions more quickly in appropriate cases, which, in turn, allows claimants to receive disability benefits under title II or disability payments under title XVI months, or perhaps even a year, earlier than if they had to wait for a hearing before an ALJ. As well, since attorney advisors may issue fully favorable decisions in cases that would otherwise require an ALJ to hold a hearing and issue a decision, the program allows ALJs to spend their time adjudicating more complex cases. As an added benefit of the program, even if an attorney advisor cannot issue a fully favorable decision after conducting prehearing proceedings, the summary the attorney advisor drafts during his or her review can be valuable to the ALJ, helping to expedite the hearing process. Moreover, prehearing proceedings conducted by an attorney advisor do not delay the scheduling of a hearing unless a fully favorable decision is in process. Thus, if the attorney advisor is unable to issue a fully favorable decision after conducting prehearing proceedings, the case returns to its original place in line and continues under the SSA’s standard hearing process, with no delays caused by the attorney advisor’s review. For these reasons, making the attorney advisor program permanent benefits claimants by giving them a chance to receive a fully favorable decision more quickly and by expediting the overall hearings process, and it benefits ALJs and their support staff by allowing them to receive helpful case summaries from attorney advisors who assist with developing the record in cases that are selected for prehearing proceedings but that still require a hearing before an ALJ.